This week is my two year anniversary of maintaining my 100 pound weight loss and also marks my four year anniversary of the first day of my journey of starting to lose weight! 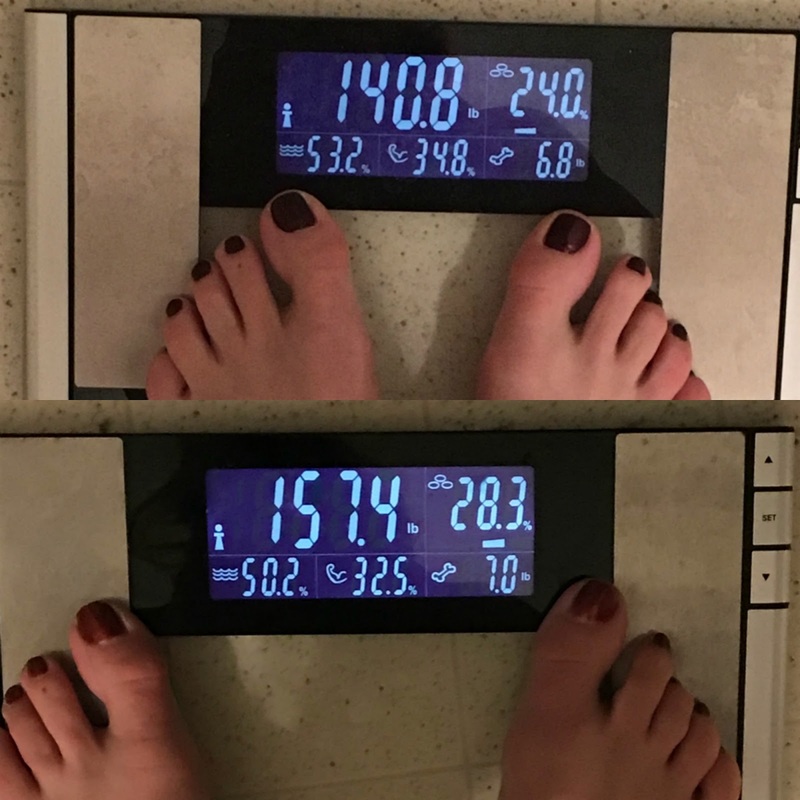 I wrote a post last year after hitting one year of maintenance so I thought I would give another update on how I'm doing with maintaining my original 100 pound weight loss these days! I can't believe that I have actually been maintaining my weight loss now for the same amount of time as it took me to lose the weight originally. I started in January of 2014 and hit my 100 pound goal in January of 2016. Two years going strong maintaining that loss still! You can check out my weight loss story to read more about my journey to lose 100 pounds and land at my goal weight of 146 pounds. I will say that a HUGE thing I learned over this past year is that I can maintain my weight loss without having to weigh 146 pounds exactly every week. Weight fluctuations are common and as long as I averaged out around my goal weight that was all that mattered to me. I think the lightest I ever was this year was 140 pounds back in February and the heaviest was 157 right after this past New Years. That may seem like a HUGE difference, but it wasn't like I gained or lost 17 pounds overnight! In February I had really been keeping my nutrition on point and was averaging on the lower end of my maintenance range and got to that low number. The 157 weight was after three straight days of eating cheese and drinking wine during the New Years weekend that had just followed the Christmas holiday and so I still hadn't shed the extra pounds I had put on from Christmas and thus led to that highest weight. It was only temporary - the scale crept back down to my normal range after about a week and a half of getting back on track so it obviously wasn't true fat gain! I'd say I average between 146-151 pounds on a regular week. Truth be told, last year I think I was averaging more around 142-148 pounds, but I actually really don't care. Hah! I might be slightly less lean in the right picture but I'm still healthy, happy, and not obsessive over the scale so that is a win-win-win for me! I am FOREVER grateful that I decided to lose weight and put in the work to reach my goal - but now that I'm maintaining that loss I'm also learning to just live and ENJOY life and give myself freedom to take some time off when needed! 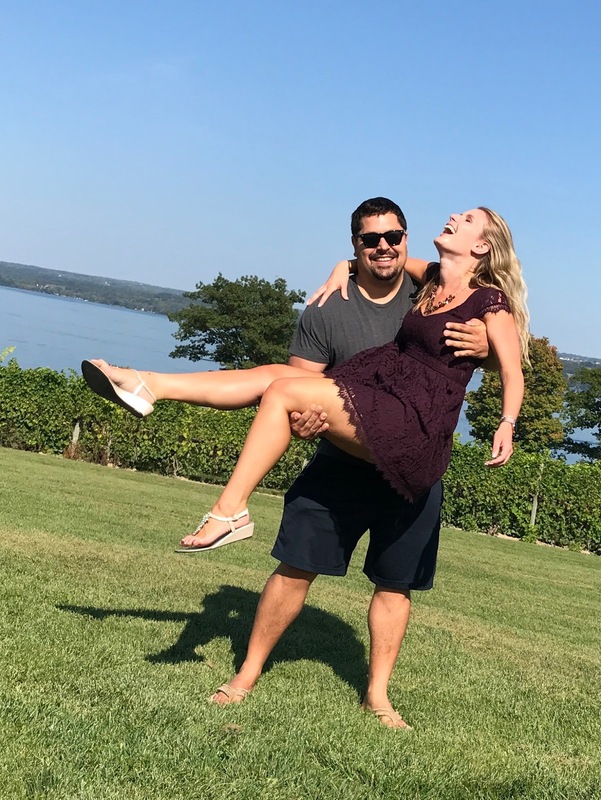 Major non-scale victory - nobody could pick me up like this when I was 246 pounds!!! I think my first year of maintenance taught me the "science" of how maintenance could work for me. I can have fun and take breaks when needed (like go on a birthday trip up to the Finger Lakes for a weekend where that above photo was taken and drink all the wine and eat all the snacks!!) but ONLY if I'm putting in the work and staying on track most other days of the week. Even on Thanksgiving this year I went and got a workout in before feasting! BCAAs and cardio in the morning...pumpkin roll and wine in the evening! Luckily for me, working out has ALWAYS been something I've been able to stay consistent with. I make it a priority to fit some type of workout into my schedule every day! It's rare that I take rest days because I do so many different workouts that are both high and low impact and work different muscle groups. This past year I continued to keep up my exercise regime but have started to incorporate more weight training. A good workout doesn't necessarily have to have a huge calorie burn which is typical with cardio workouts. 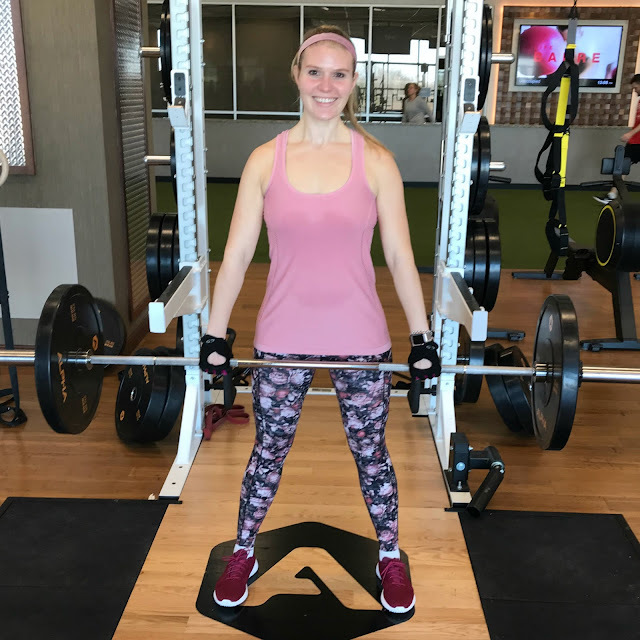 Strength training is also really important and this past year I started going to a weekly barbell strength class at my gym along with incorporating my own strength training into my other workouts. It's definitely a goal for me to focus more on increasing my strength this next year going forward and to not fall back into solely doing cardio. I'm always consistent with my workouts...because sometimes it's harder for me to be quite as consistent with my nutrition ;) I think I still have a good balance with it though: this year I embraced having some pretty epic treat meals in moderation because I know that that is all they are for me: a "treat" and NOT a regular part of my diet. I think it's so important to not be afraid of food or to label any food group as off limits because that feels too restrictive to me. I work hard most of the time so I'm not afraid to sprinkle in some yummy foods when needed. 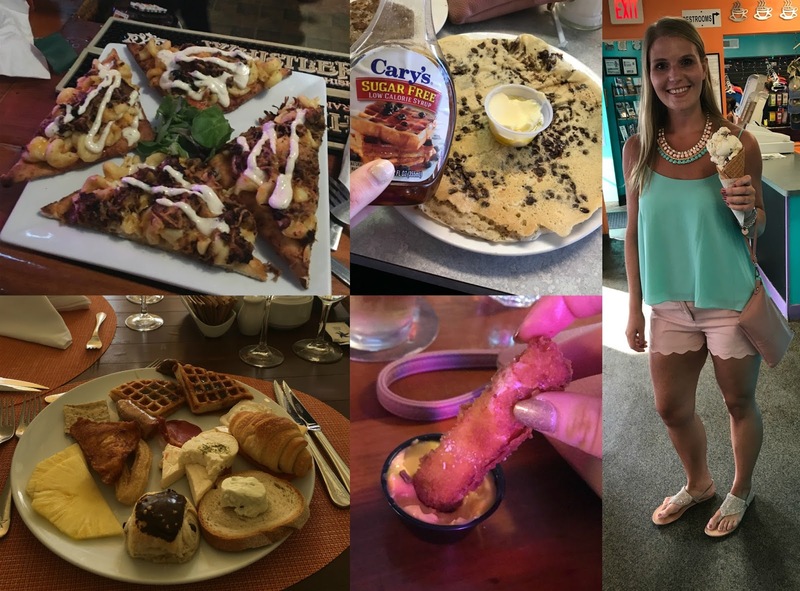 Some of these include my FAVORITE mac and cheese pizza from my local townie bar, a chocolate chip pancake the size of my head while out to breakfast nursing an epic hangover (the sugar free syrup OBVIOUSLY made it healthy), massive ice cream cones at the beach, breakfast plates full of carbs and like 5 different kinds of cheese including FRIED cheese while at an all inclusive in Punta Cana, and one of my all time favorite memories: dipping mozzarella sticks in more cheese sauce at my favorite townie bar again. Mmmmh mmh. Have I mentioned that cheese may or may not be my love language? What's great about these experiences is that I really didn't feel guilt about what I was eating because I knew it was only for special circumstances and I just enjoyed the moment! I had an AMAZING time on vacation in Punta Cana this year and I enjoyed eating multiple plates full of breakfast that looked just like that one, and similar plates for lunch and dinner too ;) More than that though - I was finally just so comfortable in my own body. I was in a baiting suit almost all day every day and never felt self-conscious about how I looked. That was ONLY possible because of all the lifestyle changes I had made on my weight loss journey that got me to a healthy weight! 2. A huge Buddha Bowl filled with shredded lettuce, various roasted veggies, grilled chicken, guacamole and Bolthouse Farms cilantro avocado dressing. This is a VOLUME meal for me: aka a huge bowl of food for relatively low calories. I love to eat so I really love volume meals like this! 3. A sous-vide salmon salad with a homemade citrus salad dressing. I always love trying new recipes and new methods for cooking. Last year I went crazy trying new air fryer recipes and this year I learned how delicious sous-vide cooking makes meat taste without using any extra oils! I have a Sansaire Sous-Vide machine (affiliate link). 4. One of my favorite finds EVER this year: cauliflower crust pizza. Pre-bake the crust, top with some low fat sauce, cheese, protein and/or healthy veggies and voila: you can have your own personal pizza for under 450 calories and often less than 20 carbs even including the toppings I add! 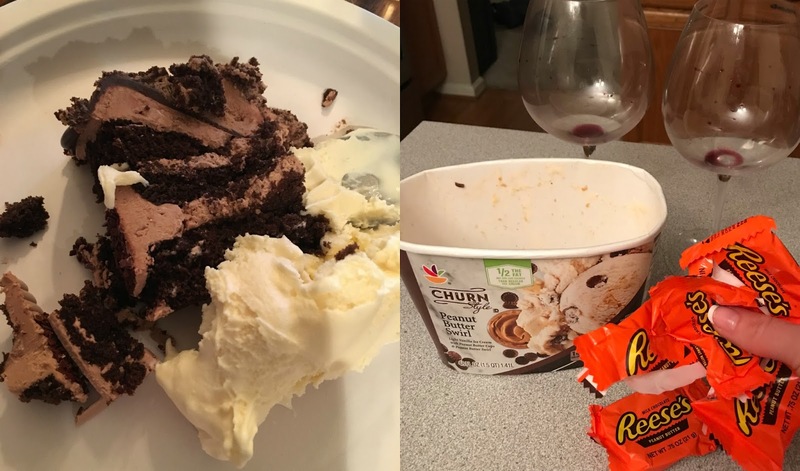 Wine is still one of my vices (I swear if I cut it out of my diet I could drop like 10 pounds so easy) but I have really have started to perfect ways to cook that are high in protein and still low in carbs and fat so I still have enough room in my diet to have my beloved wine while still staying on track! That's not to say I have things down to a science though. Sometimes when I'm not specifically tracking my food it can lead to an "all or nothing" mentality. More than once I've struggled with major over-eating and huge feelings of shame and guilt afterwards. I opened up about this twice specifically on Instagram: once was while out of town for a weekend staying with family to celebrate a graduation with lots of catered food and desserts that I just went way overboard with, and once was a on a random weekend which started with drinking at a bar, then getting tipsy and eating pizza and then continuing to eat and drink whatever I wanted back home which included ice cream, a massive cookie and multiple reese's peanut butter cups.Yikes. Just goes to show that I'm HUMAN and mess up a lot along the way still. Luckily I've been doing this whole weight loss thing for long enough now that I know how to recover from it too. I don't try and punish myself for what I ate by doing hours of cardio or under eating: I just move on the next day as a regular day and get back on track as quickly as possible. I think slowly but surely I'm getting better at handling these types of situations and they are becoming less common as well but it's still something I feel like I really need to work on before I feel like I've finally "mastered" the maintenance lifestyle (if that's even possible - hah!). It's finally starting to feel like my new body and my new lifestyle are no longer "new" and now just part of my life! Going through extreme weight loss is a crazy mind game sometimes: I remember times in my maintenance phase where I would just stare at myself in the mirror and wonder how that girl staring back at me was actually ME. I went from 246 pounds wearing a size 18/20 to 146 pounds wearing a size 4/6 and sometimes it STILL amazes me when I try clothes on in a size small and they actually fit! I think ULTIMATELY what has kept me successful at losing the weight and maintaining it now for two years is that I have made sustainable lifestyle changes. You can't expect to diet down, reach your goal weight, and then go back to doing things exactly like you had been before or you will just gain all the weight back! 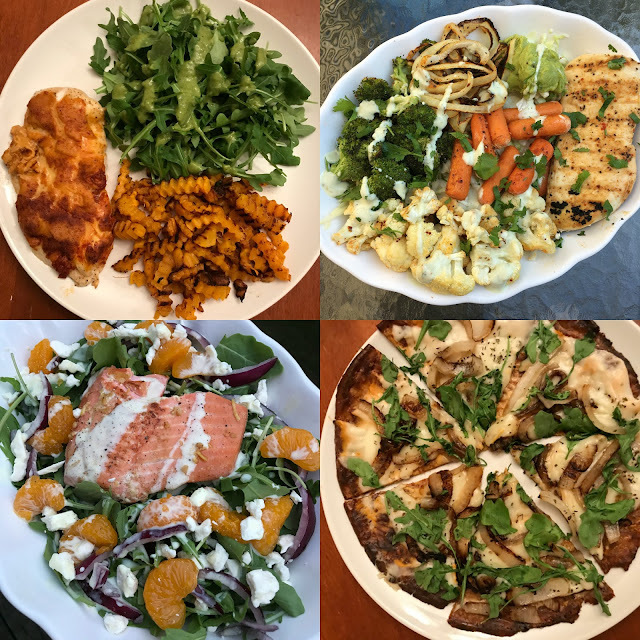 To lose the weight I had to change my diet and eventually I got accustomed to eating healthy meals and I really actually ENJOY all the food I cook for myself now (yes - even including the insane amount of vegetables I eat). I made working out a priority so now it's just a regular part of my day: I don't wake up every morning and wonder if I should go to the gym later...I KNOW that I am going to the gym because I packed up my gym bag the night before and it doesn't matter if I'm tired after work or would rather just go home and lay on the couch and watch TV and eat pizza...working out is just as much a part of my schedule as going to work at my full time job is for me every day because it's a part of my lifestyle now! I was proud of myself for losing the weight originally, I'm proud of myself for keeping it off these past two years, and ultimately I'm looking forward to a lifetime full of so much more health and happiness than I ever imaged I could enjoy when I was 100 pounds overweight! 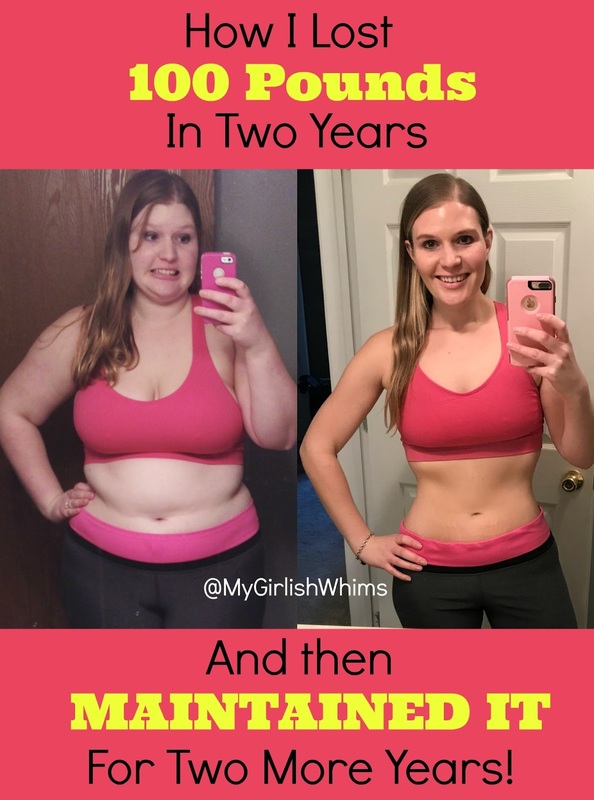 Good for you for losing the weight in the first place and then maintaining your weight loss. I wrote to you a year ago or more about losing weight. I'm happy to tell you that since June I've lost 30 pounds. 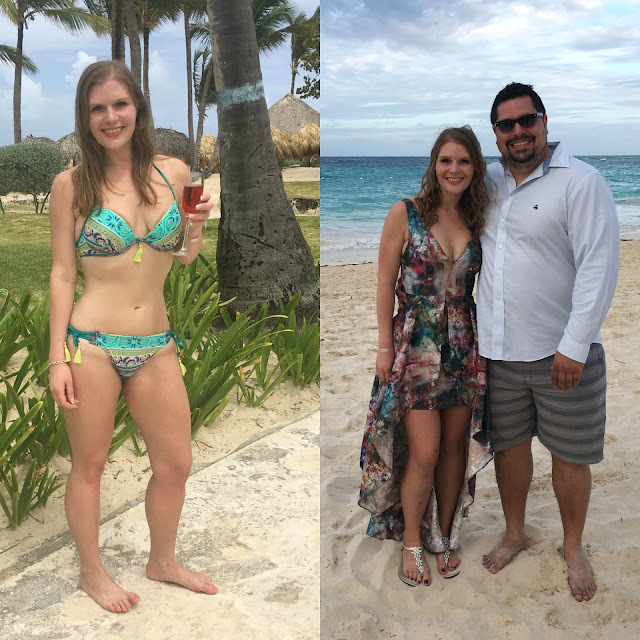 My daughter became a Beachbody coach and convinced me to try it. I also started walking daily, although I haven't done as much since the weather in VA has been so cold. You look so beautiful in the pic with the ice cream cone. Those colors look great on you. Thanks for the inspiration. I'm so happy to hear that! Congrats girl! And thanks so much - i wish I was back on the beach eating ice cream right now haha! I've been a long time follower of your blog & just wanted to say so glad to see you so happy & enjoying your healthy life....Thanks for sharing..
Congratulations on hitting the 2 yr. mark. You have a very healthy & realistic attitude. I am down 70 pounds from 250, aiming for 100 like you did. At only 70 pounds down, loose skin is a big issue on my stomach, arms, and thighs. In most of the cases crowdsourced data is the most trusted one and the majority of the people goes with it.